My Dear Malevich and Pixelscapes: First and Second Generations, The H Gallery, Houston, Texas, U.S.A., July 10 - August 9, 2010. Pixelscapes: First and Second Generations, Art and Music 2005, Coves de Canelobre (Caves of Candalabra), Busot, Spain, August 19 - 21, 2005. Pixelscapes: First and Second Generations (group show), aniGma-2, The 2d Novosibirsk International Festival of Digital Imaging & Animation, Novosibirsk State Art Museum, Novosibirsk, Russia, April - May, 2005 . Pixelscapes: First and Second Generations (group show), InterGraphic (Bishkek International Exhibition of Graphic art), State Museum of Fine arts, Bishkek, Kyrgyzstan, Russia, February 27 - March 6, 2004. 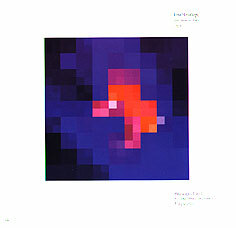 Pixelscapes: First and Second Generations [and Derivatives]/Pixelscapes: Third Generation (group show), International Festival of Digital Imaging & Animation, Novosibirsk, Russia, October 18 - 19, 2003. 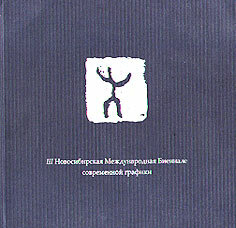 Pixelscapes: First and Second Generations (group show), Third Novosibirsk International Contemporary Graphic Biennial 2003, State Picture Gallery, Novosibirsk, Russia, September - November, 2003. Pixelscapes: First and Second Generations, Art Institute of Boston at Lesley University, Boston, Massachusetts, U.S.A. (as a part of Art Is Everywhere, Boston Cyberarts Festival), April 26 - May 10, 2003. Pixelscapes: First and Second Generations [and Derivatives]/Pixelscapes: Third Generation (featured artist; solo show), Digital Content Consortium (DCC) Conference, University of North Carolina-Pembroke, March 28-29, with the exhibition to continue at the UNC Art Department/Media Integration Project through May 15, 2003. Pixelscapes: First and Second Generations (solo show), Museum of Contemporary Art, Solovki (Solovetskie Ostrova/Solovetskie Islands, White Sea), Russia, Summer, 2002. ArCade-III in Russia (Pixelscapes: First and Second Generations) (group show) (an international exhibition of computer generated prints), Novosibirsk, Russia (curated by Sue Gollifer, University of Brighton and the London Institute, UK and by Andrey Martynov, LeVall Art Gallery, Novosibirsk, Russia), July 18 - 31, 2002. Pixelscapes: First and Second Generations (solo show) (view installation), LeVall Art Gallery, Novosibirsk, Russia, April 4-17, 2002.